Today is Fastnacht Day here in the Pennsylvania German area of Pennsylvania. I have copied my post from last year about fastnachts below. Happy Fastnacht Day! There are two different traditions in my life related to the German yeast doughnuts known as fastnachts or fashnachts. 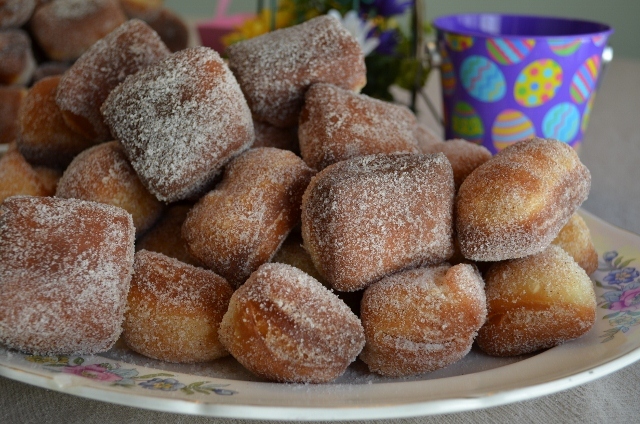 My German mother-in-law made fastnachts on Good Friday because they abstained from meat on that day (I never understood how eating warm freshly made yeast doughnuts was a sacrifice but I considered it a great tradition every Good Friday that we were at her house). My mother-in-law’s doughnuts were allowed to rise three times, cut in squares, fried and coated with sugar/cinnamon mixture. Since we live in the Pennsylvania German area, we also have the Pennsylvania Dutch tradition of fastnachts. Fastnacht Day for the Pennsylvania Dutch is Shrove Tuesday–the day before Lent begins. The idea is to use up the extra fat and sugar in the house and to have a treat before beginning the solemn season of Lent. The Pennsylvania Dutch fastnachts are a mashed potato based yeast dough, fried in lard and usually coated with powdered sugar. In this area, the Pennsylvania Dutch fastnachts are traditionally eaten with Turkey brand syrup. If you like a yeast doughnut, both variations are great and if you follow both traditions, you get PA Dutch fastnachts on Shrove Tuesday and you can have my mother-in-law’s fastnachts on Good Friday. Below is the recipe for my mother-in-law’s doughnuts which I will call “Minna’s Fastnachts” and further below is a recipe for the tradition Pennsylvania German fastnachts. The first step in the making the fastnachts is mixing and keading the yeast dough and letting it rise until doubled. After rising one time, it is punched down to rise again. 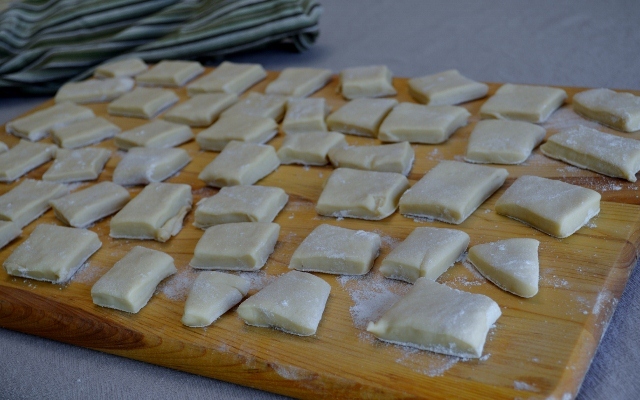 After rising the second time, the dough is rolled out on a floured surface and cut into squares. A pizza cutter works well for cutting the dough. Then the cut doughnuts rise one more time. 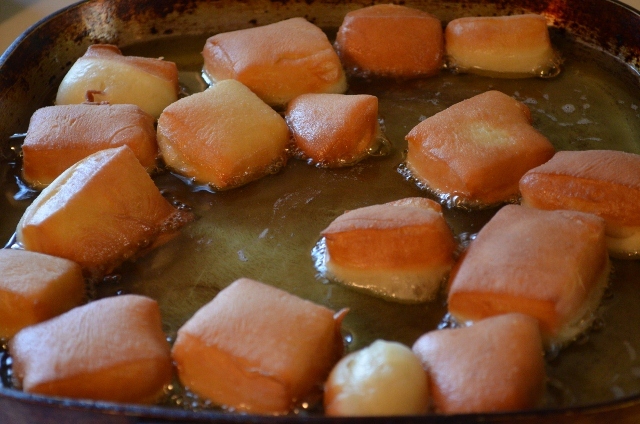 After removing the cooked doughnuts from hot grease, drain on paper towels and then roll in a sugar/cinnamon mixture. 1. Soften active dry yeast in warm water (110 degrees). Combine milk, shortening, sugar and salt; cool to lukewarm. 2. Add 2 cups of the flour; beat well. Add softened yeast and egg; mix. 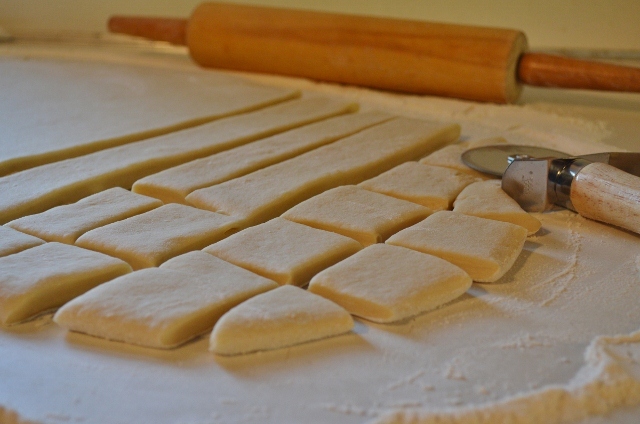 Add enough of remaining flour to make soft dough. 3. Turn out on lightly floured surface; knead till smooth and satiny (about 8 minutes). 4. Place in greased bowl, turning once to grease surface. Cover and let rise until double (about 1 1//4 hours). Punch down. Let rise again until double (about 55 minutes). 5. Roll dough 1/3 inch thick. Cut into squares (I find pizza cutter works well for cutting dough). Let rise till very light (30-40 minutes). 6. Fry in deep hot fat (375 degrees) until browned. Drain on paper towels. While warm, roll the doughnuts in cinnamon/sugar mixture to coat. Here is a recipe for PA Dutch fastnachts. If you do not want to use lard, check the link below for more of the traditional recipes. 1. Scald milk and add mashed potatoes, sugar, salt and lard. Cool until lukewarm. 2. Add eggs. 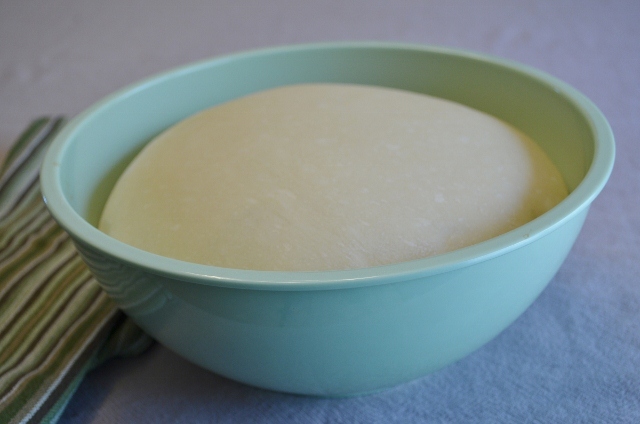 Add yeast which has been dissolved in 1/4 cup lukewarm water and enough flour to make a soft dough. 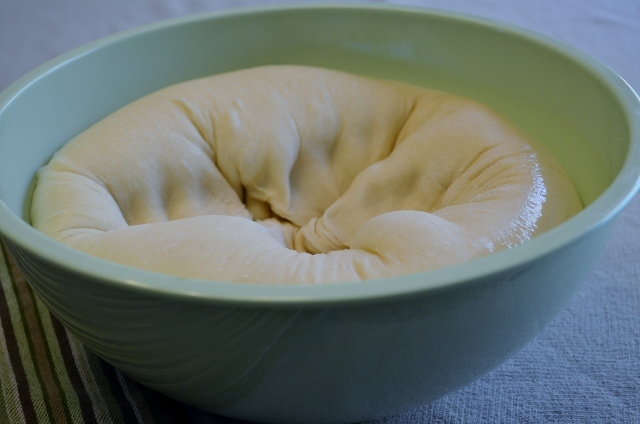 Knead well and place in a greased bowl. Cover with a cloth and let rise about 1 1/2 hours. 3. Roll 1/2 inch thick on a floured board. Cut into squares and place on a cloth. Let rise until doubled in size. 4. Fry in hot fat and coat with powdered sugar while warm. 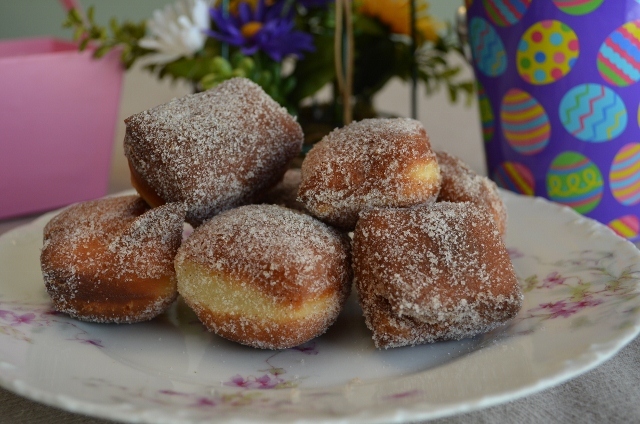 For more recipes for PA Dutch fastnachts, click here.